It is my privilege to interview Pamela Meyers this month. 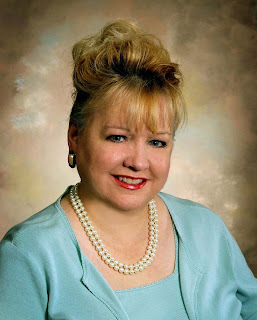 Besides her writing, she's very active with American Christian Fiction Writers (ACFW) as the Genesis Contest Coordinator. I'll mention that I had sent her the questions a couple of months ago to give her time to write this. Jeff Reynolds: Welcome to Hoosier Ink, Pam. Your web-page states that while your debut novel came out in 2011, your desire to write Christian fiction has been around a while. Can you tell us when you first caught the writing bug, and how you got from there to where you are now? Pam Meyers: I think the desire to write was in me for many years. When I was 8 I asked for a diary for Christmas which I received and I began recording my daily activities in it – which lasted about a month. I may have stopped making regular entries in the little book, but I still came back to it many times over the years -- now it's a hoot to read. As an adult I have always journaled, mostly related to my spiritual walk, but it wasn't until I returned to college and entered an accelerated adult program where most of the assignments were written reports that the writing bug really took hold. I took all the writing courses I could and was flabbergasted when my writing prof suggested I pursue writing for publication. It was several years before I focused on fiction, but once I did, I've never looked back. Even then, it took a long time of learning the craft, networking, and growing as a writer in many ways. I like to say that when I began the fiction-writing journey Bill Clinton was in the White House and gas cost $1.15 per gallon. JR: During that time, you had several articles published. Some of them have great titles: "Snared by the Internet", "Finding Mary", "How I Overcame Grief" and "God Helped Me Forgive." What inspired these, and how did these aid you on your road to the publishing of A Thyme For Love? PM: All of these articles were based on personal experience. "Snared" appeared in Today's Christian Woman and was about getting caught off guard in the new frontier of social networking. I "met" a man on a chat list and before long our private exchanges went a direction I hadn't expected them to go. I shared that experience through my article to help other women. I wrote the story anonymously and just recently learned from the woman who was Editor of the magazine at the time that my article garnered more reader mail than any had up to that point. That was very humbling to know. Finding Mary was in Ancestry Magazine, published by Ancestry.Com. The article chronicled the steps I took to find an elusive ancestor I knew existed but could not find anything to document who exactly she was. She turned out to be a sister of my paternal grandmother :-). The "grief" article and the "Forgive" article were both in Victory in Grace Magazine. They are short articles relating how God helped me through some difficult periods of my life. As far as how they aided me on my journey to writing my first contracted story, other than being writing credits I'm not sure they helped. I think developing my fiction writing skills really helped with some of the articles as I incorporated those skills in the anecdotes I included in the articles. JR: Let me deal with where you are now. In the last two months you've had two new releases. Can you tell us about Love Will Find A Way and Love Finds You In Lake Geneva, Wisconsin? PM: Love Will Find a Way is the sequel to Thyme for Love. Both are romantic mysteries. When Thyme for Love ended my main characters, April Love and Marc Thorne had finally reconciled after an 8-year separation that had begun when their engagement ended. After April had to turn amateur sleuth to find the real killer of their boss before Marc would be falsely accused, they realized they really did love each other. Now that the mystery was solved, they wanted to start dating as a normal couple. In Love Will Find a Way April's eccentric Aunt Kitty buys her an old Victorian to house her new catering business, but before renovations can be completed it's apparent someone doesn't want April's business to open. She's ready now for Marc to pop "the" question, but too many roadblocks keep cropping up which makes her wonder if they ever will get married. Love Finds You in Lake Geneva, Wisconsin is set in my hometown, a beautiful picturesque small town on the shores of Geneva Lake in southeastern Wisconsin. I have dreamed a long time about setting story there, and when I was given the opportunity to do so, it was a real blessing from God. The story is set in 1933 during the Great Depression--the same year the Riviera Ballroom was opened on the lakeshore. The building still stands today and is featured on the book cover. My characters, Meg Alden and Jack Wallace both work for the Lake Geneva News Tribune, the town's weekly newspaper. Meg aspires to be a news reporter for the paper but, like most in the news biz of that time, her boss believes that news reporting is a man's job. Women should only write society fluff. This creates a lot of conflict because Jack is hired to fill an open reporter position--the position Meg thought should be hers. She doesn't want to fall for Jack but she is. I had a lot of fun researching for the story and writing it. And I learned a lot of things about my hometown I never knew. Through the research I found myself falling in love with my hometown all over again. I could go on and on about the book. It truly is the book of my heart. JR: These stories both have the words "Love" and "Find(s)" in the title, but they're different genres. (I won't mention that one of them shares a title with one of my favorite Pablo Cruise songs.) Did you have the luxury of writing one at a time, or were they written more or less simultaneously? If the latter, how did you manage to balance the creation of two unique stories? PM: I actually had nothing to do with the titles of the books. Love Will Find a Way was a title my editor at OakTara gave the story, and Love Finds You in Lake Geneva, Wisconsin is part of the "Love Finds You" line from Summerside Press. They are from different publishers, and are different genres. One has no connection with the other. I had written LFYLG long before I wrote LWFW. I did not have to write them both simultaneously. I would find that difficult to do, although I know that some authors work the way. JR: Not only do you have two books to market, but at the same time you're also coordinating ACFW's Genesis Contest. How are you managing your time between these various activities? PM: Well, you see how long it's taken me to complete this interview :-). LWFW was to release in November but, as sometimes happens, the publisher delayed the release date and it ended up coming out just as I was kicking the LFYLG promotion into high gear. And, as you mentioned, I am overseeing the ACFW Genesis writing contest for unpublished writers. Because LFYLG is set in my hometown and we have a specific window of opportunity over the coming summer months to promote the book during Lake Geneva's tourist season, my focus has been nearly 100 percent on that book's promotion. I have scheduled several appearances already in and around the area, beginning with a Power Point presentation at the Geneva Lake Museum on April 27th, followed by a signing the next day at a popular gift shop in town. I plan to mention my other books and have some with me to sell. Once the major push for the Lake Geneva book is over, I'll focus more on getting the word out about LWFW. The Genesis's biggest time consumer is the first round and that will be ending May 3. Right now I'm dividing my time between Genesis and getting ready for April 27th. Just don't ask me how much writing I'm getting done right now LOL. PM: I had been a category coordinator for Genesis for several years prior to taking over as head coordinator last year. I had very big shoes to fill when Camy Tang stepped down as contest coordinator. Last year we had an unprecedented 620 entries and it quickly became apparent that we did not have enough volunteer judges. Every entry requires three judges. I relied a great deal on prayer and the willingness of many volunteers to make themselves available. That was truly the highlight of the year for me, when I came to the end of myself and told God I couldn't do it, and He'd have to take over. He provided and then some. This year we have had a new challenge in that the entire contest is now automated with a new software program our techies built. As with any new software, there have been our share of "bugs," and troubleshooting those has been a huge time-grabber. But the highlight of this year has been the team effort by the category coordinators, the techies and other ACFW staff to get it done. Again, all of it is bathed in prayer. PM: I agree the news can be very unsettling and I do wonder where we're going to be in another year or two. Will the publishing world look the same or will some of the major players even be around by then? Then I come back to where is God in all this? He is still in control and will be always. He's not surprised by any of the negatives that have happened and I just have to trust in Him. If he wants my books, your books, or anyone's books published, it will happen. There are some fantastic gifted writers around, and He keeps giving us more and more ideas for stories to write. If He wills it for you, it will happen. JR: Thanks for the time from your very busy schedule. I'll be looking forward to your books. PM: I've enjoyed it, Jeff. You ask some very good questions. Thought-provoking and challenging. 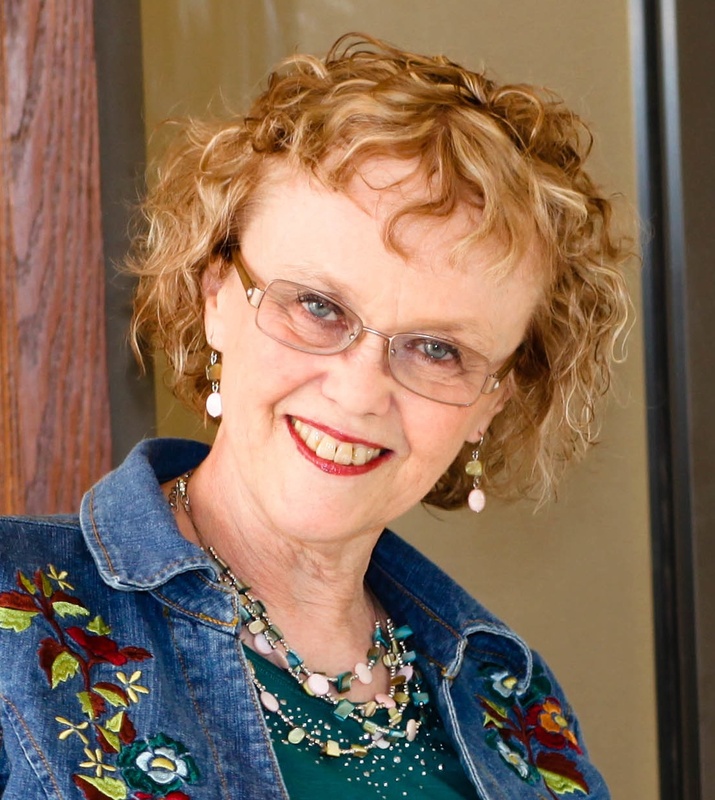 Jeff to readers: Hope you've been encouraged by this interview with Pam Meyers. How do you find encouragement/motivation to keep on in the slow phase of getting published or in our uncertain times? How do you manage your many hats between writing and non-writing duties? Any other thoughts this interview encouraged? The creative life isn't easy. We've all heard stories of starving writers and artists and musicians living in garrets as they try to earn a few pennies from their chosen profession. Year after year after year of hard work without a profit. But they might have a tax deduction. Last month I discussed the case of the traveling food critic who couldn't deduct excess writing expenses because his actions showed he wasn't writing to make a profit. But what if he had been and was just unsuccessful? Consider the case of the struggling artist. Gloria Churchman trained as an artist and pursued her art regularly and continuously for twenty years. During that time she taught art classes, created paintings and sculptures in a home studio built for that purpose, and kept records of her sales and expenses. Churchman exhibited her paintings and sculptures at least once a year. She visited commercial art galleries to solicit shows and maintained a mailing list for announcing them. At one point she even opened her own gallery to showcase her work. She also reproduced her art as posters and in books in order to make it more available to the public. Although Churchman had some income from her artistic activities, she did not have a single profitable year. Yet, in spite of twenty years of losses, the tax judge looked at all the facts and decided that Churchman's art was her business, not her hobby. Like Maurice Dreicer in last month's post, Churchman spent twenty years incurring expenses that exceeded her income. So why were the results different? Churchman worked hard at her craft and tried to make money from it, while Dreicer ate his way across several continents looking for ways to spend his inheritance. Hard work doesn't always result in publication or profits, but it can get you a tax deduction. Tax season is over, so stay tuned for a change of subject in next month's post on the case of the sneaky cook. Kathryn Page Camp is a licensed attorney and full-time writer. Her new book, Writers in Wonderland: Keeping Your Words Legal (KP/PK Publishing 2013), will be available from Amazon on May 1 and is coming soon from other retailers. Kathryn is also the author of In God We Trust: How the Supreme Court's First Amendment Decisions Affect Organized Religion (FaithWalk Publishing 2006) and numerous articles. You can learn more about Kathryn at www.kathrynpagecamp.com. Have you ever read a romance that left you with that [*sigh*]-if-only-that-book-lasted-forever feeling? Better yet, have you written one? 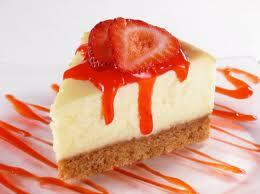 Then you know exactly what I mean when I say a good romance is like strawberry cheesecake. Do I have a food fetish? I’m afraid so. One friend, having read my romances, even complimented? me, saying I always blow my quota of adjectives describing food. True. Probably more than I spend on the hero. Still, I stand by my hypothesis. First, romance, like all writing and all yummy food, is best when authors begin with fresh ingredients: exceptional characters, riveting dialogue, unique settings and ingenious plot twists. Romance, as well as cheesecake, also consists of a delicious balance of the sweet and the sour swirled together to create a flavor blend better than the original ingredients. A contrast of textures, including crunchy graham cracker crust, creamy filling, and fruity topping, reinforce this in cheesecake. Likewise, nitty-gritty research (often historical, geographical or occupational); rich, luscious language; and wholesome, flavorful everydayness together enhance a romance’s appeal. Like strawberry cheesecake, excellent romances usually take time to solidify before the writer layers on the final elements that make it taste out of this world. John Steinbeck, in his book Travels with Charley, deplored chain restaurants that boasted their generic offerings were “untouched by human hands.” He wanted a dinner imprinted with the cook’s own fingers. Likewise, an excellent romance should bear an author’s special touches based on her background and personality, distinctive as an unrecipe-d sprinkle of cinnamon or even an opulent layer of chocolate. Yes [*eye roll*], dieticians don’t consider strawberry cheesecake a critical element of the food pyramid. Likewise, theologians and pastors don’t regard Christian romance an essential nutrient. Some even see both cheesecake and romance as harmful. Yet how many of us avoid those who religiously stick to their uncompromising diets—and expect everyone else to, as well? The Bible does not stuff truth down our throats without regard to taste. In fact, the frankly sensual chapters of the Old Testament book Song of Songs celebrate married love. The romantic theme of Christ’s love for His Church resonates throughout the entire Bible, including a rescue of the damsel in distress—on a white charger, no less, as Robin Jones Gunn says—the Great Elopement (a.k.a., “Rapture,” no ladder necessary), and the Marriage Supper of the Lamb (notice the food reference, here? ), which celebrates His becoming one with his Church forever. Strawberry cheesecake, right? With a gazillion chocolate dribbles on the plate. Certainly, something is wrong if our diets consist of nothing but yummy dessert-type fiction. Even the most avid romance readers and writers should fill their lives with a variety of nourishing genres. Yet somehow, a bowl of oatmeal doesn’t celebrate life and truth the way strawberry cheesecake does. Uh, yeah . . . the well-written romance, too. Ever experience one of those sweet moments where you can sense God's blessing and His watch care over you in way that's unique and oh so special? I've been blessed with a number of them in my life and I hope you, too, can name at least a few. One such memory from the last few years sticks out in my mind and I'd like to share it with you. After permanently returning to my native southern Indiana in late 2005, I worked part-time for five years at The Kentucky Center for the Arts as a floor manager (in addition to my full-time paralegal position). Basically, I ran around with a headset and supervised a volunteer staff of ushers and ticket takers and made sure the patrons found their seats. On occasion, I was required to mediate some difficult circumstances and, although trained in CPR, I thank the Lord those skills were never called upon. It was also during my tenure there that I wrote a number of books in my Lewis Legacy Series; I used the quiet time during the performances (floor managers had to remain outside the theater) to work on my current manuscript (and the references in Book #3, "Twin Hearts," to The Wizard of Oz reflect that "Wicked" was in production at the time). I loved working at The Kentucky Center, primarily because of the interaction with the volunteers, many of whom are seniors (but always young at heart, as they often reminded me). I developed a rapport with and genuinely cared for many of them, and I like to think the feeling was mutual. However, there was one gentlemen named Tom who was the proverbial "thorn in my side" for the longest time. Tom loved to tell me what I'd done wrong (especially when I was new in the position), and he corrected me on a frequent basis, usually in front of other volunteers. Gradually, after a couple of years, I developed a rapport of sorts with Tom. He began to see I knew what I was doing and could perform my duties with a certain degree of proficiency. Tom told me one fine day that he respected me for always wearing a smile and having a kind word in spite of the sometimes trying circumstances with patrons as well as volunteers and other staff. Our relationship changed with those encouraging and supportive words. The wariness I'd felt when in his presence transitioned to mutual understanding. In hindsight, I could see Tom always intended to help me, not embarrass or belittle me. He meant well yet had a unique way of going about it. One afternoon, he sat outside the theater with me (instead of watching the show) and talked with me about my writing pursuits--listening, asking questions and even giving me some helpful hints of ways I might be able to market my books. From that point on, Tom made it a point to inquire about my latest book or project. On another occasion, during the intermission in one of the shows, Tom happened to be standing nearby. We started talking about something or other in casual conversation and he mentioned the fraternity he'd belonged to at the University of Louisville. He perked up when I told him my dad belonged to the same fraternity, also at Louisville. Turns out, my dad was nicknamed "Cub" in the TKE fraternity all those years ago, and Tom was one of his fraternity brothers. I'll never forget how he gave me a bright smile and said, "You're Cub's daughter?" For one thing, I never knew my dad's nickname in college. Tom shared some fun and wonderful memories of my father and told me his photo was probably still in a certain display case at the university (I found it, and it is). From that point on, Tom held a very special place in my heart. Whenever we saw one another, he'd give me a big hug and say, "How's Cubbie today?" I love that he called me that. In a way it was bittersweet since my dad passed away a number of years ago. I've only talked to Tom a couple of times since leaving The Kentucky Center, but I'm going to make it a point to look him up again. I hope he's still a volunteer so I can plan on popping in one night to visit with him and get another one of his hugs. It's this same type of memory and special moment that can infuse your writing with poignancy and insights that will impact your reader, sometimes more than you'll ever know. Especially if it's something you've experienced personally, there's a realism that will resonate with your readers. In one of my books, my hero's father died of cancer (a brain tumor) many years before. His relationship with his dad was explored to a certain extent from the hero's POV. It was a very small portion of the book, but one reader wrote and told me how closely she identified with that situation because her sister is suffering from a potentially fatal brain tumor. Reading about the regrets of the hero and how his father closed himself off and didn't want anyone to see how ill he was encouraged her (the reader) to reach out to her sister and make sure the connection was strong so she could help her, pray for her and let her know she cares and is always there. That touched me in a profound way. This was an aspect of the book I had no clue would ever have a positive impact on someone to the point where it prompted action on their part. Think about such special moments in your life. Is there something you can share from your own experience that you can incorporate in your books? Something to ponder. Many blessings as you write for His glory, my friends. Who knew that waltzing could change your writing? I certainly hadn’t anticipated a connection. Not I, the Point A to Point B mom of four busy sons. My initial goal was to maneuver around a wedding reception dance floor with my husband. After passing that milestone we set a new goal: to pursue a new venture—ballroom dancing--together. The romance stemming from that pursuit certainly hasn’t hurt the effort. But as we’ve learned ballroom figures the goal has softened. Slow down. Draw out the seconds. Refuse to rush to a destination on the floor. Savor the music falling not only on but across the beats. Why? There is deep value in every tiny movement. There is treasure in a slow unfolding. And particularly in waltz there is powerful and purposeful rise and fall through the drawn out turns. So how does waltzing influence writing? It creates joy in progress. Goals are good. They provide purpose, direction and motivation. But we are impatient to arrive. If we rush at our goals we severely diminish the delight we might have savored in the movement toward those good goals. It creates beauty. How? Every moment is committed to arcing progress. The beauty comes from the curving arc through a point, not a bee line to the point, a pause, and then a rush to the next point. Rather than writing nothing for days, then writing for hours—as I have today—give yourself a bit of time to write even in the over full days. Those moments will likely be lovely. It creates a weightlessness because movement is balanced and well timed. Rushing creates extraneous movement, which leads to a greater rush to regain lost time, and that rush throws the whole dance out of balance. But if you and I continue in unhurried movement, our writing—and even daily demands—can feel less weighty. So if the ballroom serves as writing classroom what might one glean from, say, a foxtrot? Does Social Media Help Your Writing Platform? We can talk about this topic until the cows come home. You have to be old and pre-social media to understand that one--which means, take my viewpoint with a grain of salt. I didn't even have a computer until I was married with four kids, because before that, computers filled entire rooms. Ok, so you know where I'm coming from here. Everywhere I turn, I am reading about Pinterest, Blogs, Facebook, Goodreads and how they help your platform. But if you're writing, you have to take time away from that to engage. Ugh! What's a shy writer to do? I admit I like interfacing on Facebook and Pinterest. Two slightly different forums, but because I wanted to be a newspaper features writer (and was a sports editor/writer in HS,) this sort of satisfies that aspect of my personality. It's like having little features in a daily newspaper only you don't have to wait for the letters to the editor! Instant feedback! And I like Goodreads because it satisfies my need to organize my reading, or at least keep track of some of it. I will never get to the end of my TBR piles (by my bed, nightstand or on my Kindle) but it makes me smile to see the books I'd like to read as well as the ones I have read. Books comfort me. On Facebook I try to give a shout out to my friends as they promote their books. I've influenced a great deal that way because I have a lot of reader-only friends who have asked me for reading suggestions since my days of writing my book review column in a Christian magazine. I just put up my own "author" page in anticipation of having writing in the public, all the while I'm trying to "like" others' authors pages too. (leave me your link on here or Facebook and I'll reciprocate.) It was rather intimidating to me. I can get that deer in the headlights feeling just looking at my page. Yikes. And choosing your header can be hard to do, but it's not set in stone. Get creative and you will soon be at home and so will your readers. I've seen some great author pages and some that are not so great. One piece of advice says to not put your friends' books on your author page--save that sort of thing for your personal page. But it's up to you. So, is it helping to be out there? I don't have a book out, but I am noticing I can really influence readers and get people engaged in topics/photos, so yes, I do think your efforts are working. I guess remembering The Golden Rule, being kind and helpful to your readers will be what they remember more than anything else. What kinds of things are you doing? What works for you? What turns you off when (where you inwardly groan) you get on your Facebook page and see posts? What kinds of posts work best on blogs for you? One more thing--I just got a timer and my next step is going to be timing each of the things I want to do on the computer. I'll let you know how that works out. http://wheniwasjustakid.blogspot.com has a list of authors and kid interviews I've done, which get hits even years later. Email me if you want to do an interview! I will be featuring Deborah Dulworth and Linda Hanna, Indiana ACFW authors, on When I Was Just a Kid starting on April 15th. Be sure to check that out. Be sure to leave us your links! "You Wrote about My Son"
In my historical novels, I sometimes give a well-known person a "cameo" role. I wouldn't do that with private individuals because they have a right to maintain their privacy. But a politician or other newsmaker? Of course. Even so, that person's notoriety doesn't give me license to cast them in a bad light. I'm accountable for authenticity, especially since newsmakers or their families may see what I write about them. This point came home to me last month in connection with a nonfiction article. "Focus 40" is an annual emphasis on prayer and fasting during the 40 days leading up to Easter, sponsored by our denomination. The "Focus 40" resources include a daily devotional, and I wrote a couple of meditations for this year's booklet. "Extreme Love" was the theme, so I began one article by referring to last year's theater shooting in Aurora, Colorado. I noted that three young men in the theater--Jon Blunk, Matt McQuinn, and Alex Teves--covered their girlfriends with their own bodies and died as a result. It was a striking illustration of Jesus' words, "Greater love has no man than this..."
Jerri went on to share her experience of flying to Colorado on the night of the shooting. Although the medical team tried valiantly to save Matt's life, he died of his wounds 18 hours later. Jerri told about the peace God gave her that day--and since then. She closed her post with the words, "Thank you for honoring our loved ones." I would not have guessed that the mother of one of those young men would see my devotional article. But we never know when someone related to a real-life character in our stories will see that name, recognize the connection, and be touched (or offended) by the way we portray them. "Hey, how did I get here?" Recently a friend shared a funny incident. Her son Josh had been reading. 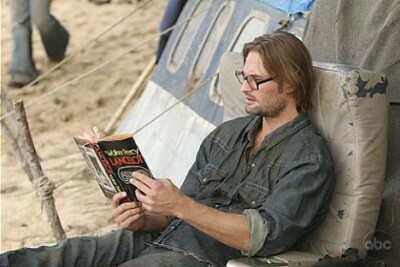 Scratch that--her son Josh had been totally absorbed by the novel on his lap. Although she told him several times to come to the table for supper, Josh couldn't hear. His mind was submerged in a fictional world about another time, another place. As a last resort, this mom took her son by the shoulders and--while he was still reading--guided him to the kitchen table and eased him onto his chair. Moments later, when the aroma of a delicious meal wafted up from his plate, he glanced around in astonishment. I didn't ask which book Josh was reading that day. As a writer, though, I applauded the author who crafted a captivating tale so successfully it gripped the boy's mind and held him even while his physical body was maneuvered from a living room sofa to the kitchen table. Have you ever experienced something similar? I have. When I drive long distances, I like to listen to books on CDs. (If you haven't discovered these in your local library, you really need to check them out--literally.) As least twice, I have been driving along an interstate highway and listening to suspenseful stories until--unexpectedly--I blinked and thought, "Huh? Where am I?" In both cases, I had missed my exit a couple miles earlier and had to backtrack. Such is the power of a well-written tale. Of course, not all stories hold such ability. Some authors insist on flaunting their vast vocabularies and frequently use obscure words that knock the reader out of the story with the question, "What's that word mean?" Other authors include scenes or events that come across as so incredibly coincidental, or so unlikely, that they puncture the very fabric of the story and let all the believability escape. Although, by God's grace, I've successfully sold over two hundred short stories and articles, plus a couple novels, I'm still learning and growing as a writer. I'm not yet where I would like to be on this journey. However, authors who are true craftsmen at this trade inspire me. Who knows? Maybe someday readers will engage with my stories so intensely that they will suddenly look around and wonder, "Hey, how did I get here?" As writers we must not only work our craft, we must hone our craft. ACFW provides plenty of opportunities to do that regardless of the level of writing through on-line critique groups, Novel Track, Genesis contest, and loops. The annual conference also is set up to aid all writers from newbie to profit-making professional. Plenty of fine websites provide helpful tools for quick and reliable reference. Right here on Hoosier Ink we address writing issues. For instance, you can flit over to Steph Pritchard’s “If I Were a Butterfly” on subjunctive mood. Other sites such as http://www.grammarly.com/handbook and http://owl.english.purdue.edu/owl act as traffic cops at the intersection of sloppy diction and proper English. One site that guides you to other helpful places is http://writing-program.uchicago.edu/resources/grammar.htm. While computer use increases availability for those hands-on or hard to find questions, sometimes it’s best to hold a book in our hands as we alternately read and work exercises. There’s something about physically recording work that aids in learning. What is your favorite craft-of-writing source? What is one idea that held great take-away value for you? Do you have a favorite site to check grammar? Mary Allen, a lifelong Hoosier, has authored many articles and two books of poems, “Journey to Christmas” and “Ten Days to an Empty Tomb”. She also contributed stories to “Kernels of Hope” published by Majesty House. 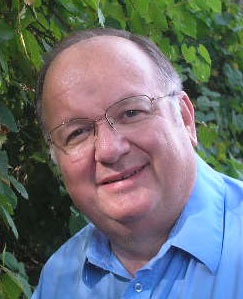 Allen was named La Porte County Poet Laureate 2010-2011. Follow her online at https://www.facebook.com/PoetAndWriterMaryAllen. 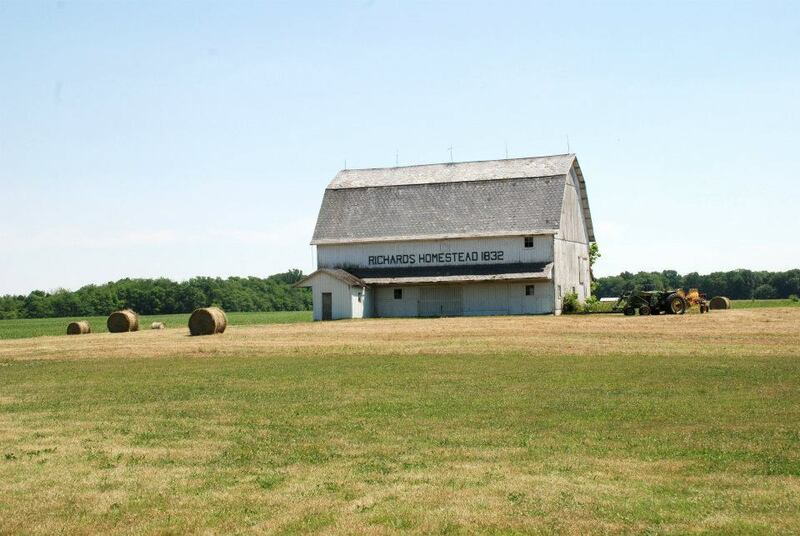 She blogs monthly for www.thebarndoor.net, a site about the Midwest. I really am a Pastor's Wife who wears biker boots. I get asked a lot if my new book is about me. It's not. 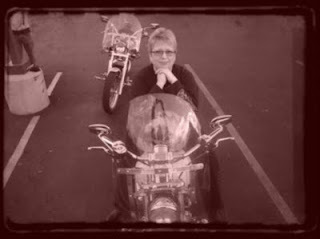 But I drew on a lot of my experiences as a pastor's wife and "biker chick" when I wrote it. Today I got my book trailer from the Editor-in-Chief at Pelican Book Group. This is one of the FUN things about being a writer. All that hard work capsulized in a video! And it makes it look so movie-like, doesn't it? Do you like book trailers? Do they make a difference for you when deciding to read a book? I know they do influence me. I'd love your feedback on my trailer, so please leave a comment below. And don't forget to hang on. Karla Akins is author of the best-selling Jacques Cartier (that went #1 on Amazon in its category), O Canada! Her Story and Sacagawea. Her debut novel The Pastor's Wife Wears Biker Boots is due out in 2013. When she's not writing she dreams of riding her motorcycle through the Smoky Mountains.